Product prices and availability are accurate as of 2019-04-19 11:01:19 UTC and are subject to change. Any price and availability information displayed on http://www.amazon.com/ at the time of purchase will apply to the purchase of this product. ChromaCast products are designed by musicians for the active player. ChromaCast stands provide the best in affordability and quality. 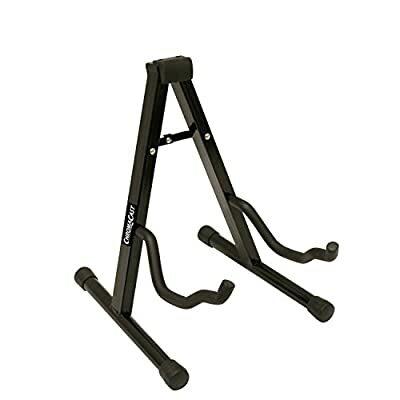 This A Framed Universal guitar stand folds for easy storage/travel and features lightweight, durable, metal construction, rubber feet, soft foam stepped yoke, rubber back rest and secure lock system.